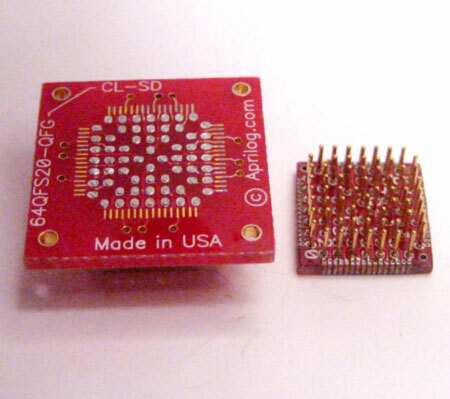 The bottom part of the adapter is soldered to the IC pads on your printed circuit card component site. It provides pins that connects PCB pads to the chip carrier top. The adapter top easliy slips on to the base pins. 8SO30-SMT-SD 8 pin SOIC SMT component carrier to SMT base. 10SSSO-SMT-SD 10 pad SSSO SMT component carrier with SMT base. 14SO30-SMT-SD 14 pin SOIC SMT component carrier to SMT base. Spare SMT base is part number 44QFS31B-SD for 13.2mm to 13.9mm tip to tip. 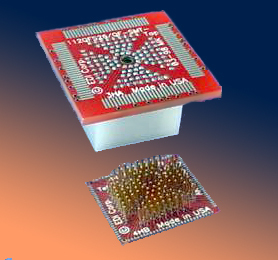 64QFS31-QFR39-SMT-SD 64 pin QFP rectangular SMT component carrier top and to 0.8mm pitch square SMT base. 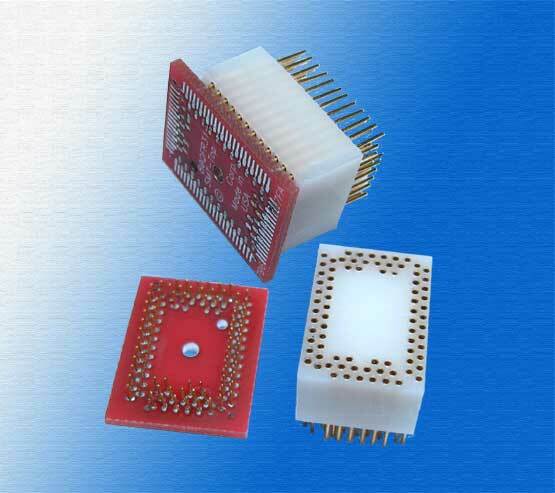 64QFR39-QFS31-SMT-SD 64 pin QFP rectangular SMT component carrier top and to 0.8mm pitch square SMT base.